The T-Mobile G1 was the first ever Android phone, making it something of a historic gadget. So it's only natural that there's a lot of excitement about its upcoming sequel, the G2. And what do you know, here's a picture of it. 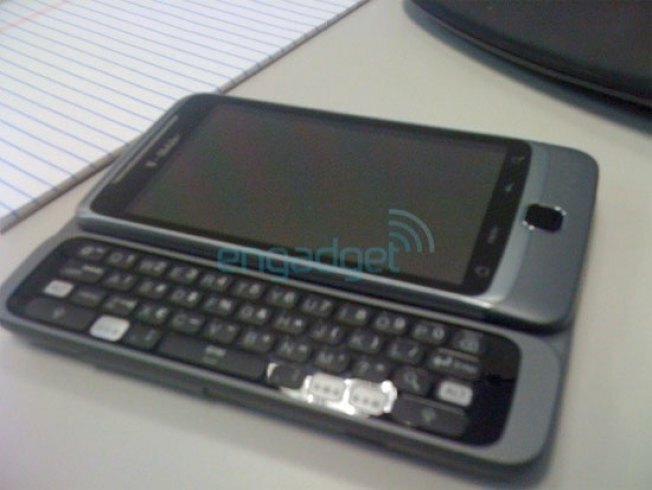 It looks like the G2 will be a slider just like its predecessor, with a 3.7-inch display hiding a full QWERTY keyboard. It's not clear what the other specs will be, but it should be relatively near the top of the Android phone food chain.